For the chemically addicted or the chronically parched: a mild, luxurious cleanser and moisturizer for softness and shine. A must for damage or dryness due to haircolor or perms. Best shampoo that I have ever used. 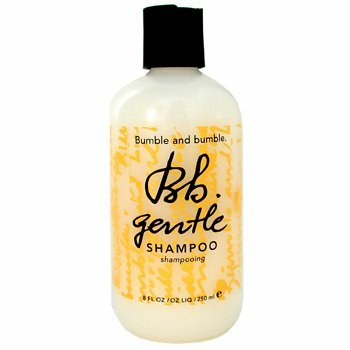 The Bumble and Bumble gentle shampoo and conditioner is the best! I have let my hair grow out to a longer length and this is the only product that I will use. It keeps your hair cleaner longer and gives it more body and shine. Makes my shower more fun. - I love how this product smells. It invigorates me. - I have never received this many compliments on my hair on a regular basis. - It has saved my very processed hair--instead of dry and breaking, my hair is soft and silky!